David Pollock on the rise of village pub theatre. “It’s easy to moan about money,” says playwright James Ley, “but it’s important to have a ‘nothing comes from nothing’ attitude too.” To this end he started the Village Pub Theatre back in June as part of the Leith Festival, with some of the finest young playwrights and writers in Scotland showcasing their work every month or so through a group of professional actors under the direction of Caitlin Skinner. All this while the regulars go on drinking and laughing next door. It’s the theatrical equivalent of putting on an art exhibition in a warehouse space or a gig in a pub basement, a happening in defiance of the fact there’s next to no budget. It’s not a political statement – in fact Ley says he hopes Creative Scotland might provide some funds for larger events come next year’s Leith Festival – but it definitely is a reaction to the times. 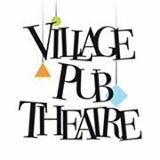 Village Pub Theatre reflects the fact there are as many voices as ever clamouring to be heard, but that tightly squeezed theatres aren’t able to accommodate as many as they might like. The list of those involved will please any follower of Scottish theatre. Alongside Ley himself, Morna Pearson and Catherine Grosvenor have written, as well as Colin Bell and poet JL Williams, whom Ley describes as “a great actress, her performance was a bit of a hit”. Jenna Watt’s wonderful, Fringe First-winning Flâneurs also received early exposure at Village Pub Theatre, and actors have included Andrew Dallmeyer, Gill Robertson and Louise Ludgate. It also seems to be an unintentional reminder that, while battles are fought and conversations are had elsewhere about Scottish arts funding, the desire and urge to communicate of the country’s theatre community will find a way for the message to reach its audience.